On this page you can see tutorials and articles from 2011 by Julia Rai. Julia writes for a number of print magazines and online. 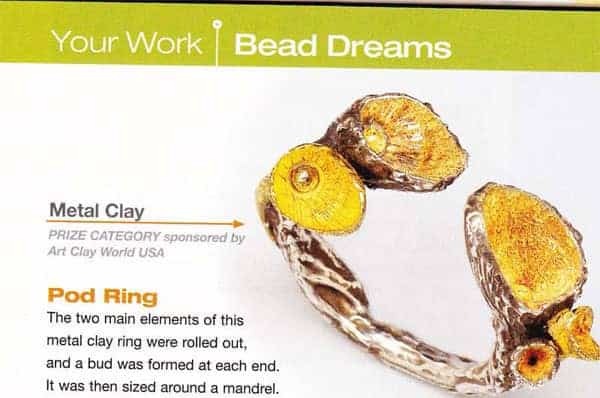 My pod ring was featured in the Bead and Button Magazine Bead Dreams article which showed the winners in each category. I created this tutorial showing the photopolymer plate process for making your own textures for metal clay. 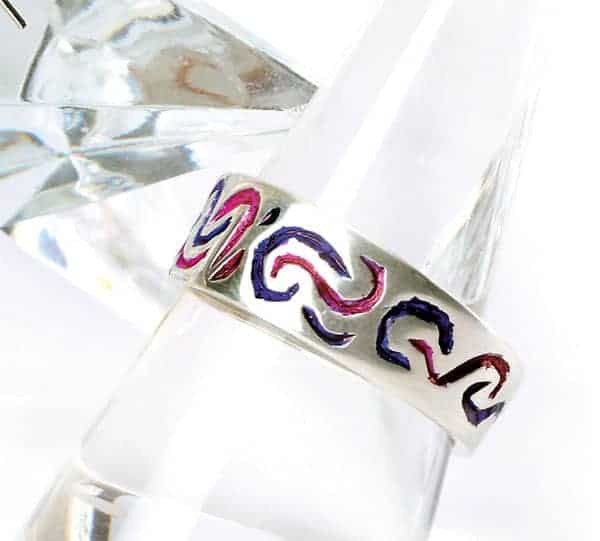 This tutorial was published in Making Jewellery Magazine in September 2011. 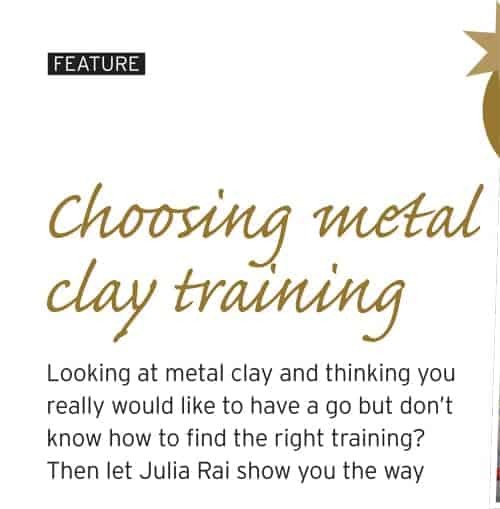 This tutorial appeared in Making Jewellery Magazine in the June 2011 issue. 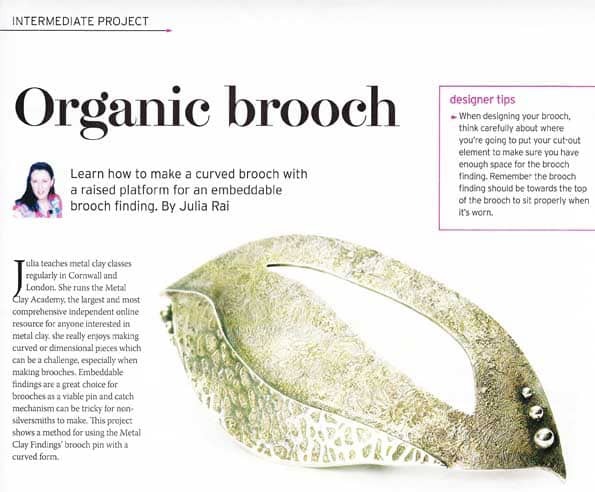 This tutorial I wrote was published in Making Jewellery Magazine in May 2011. 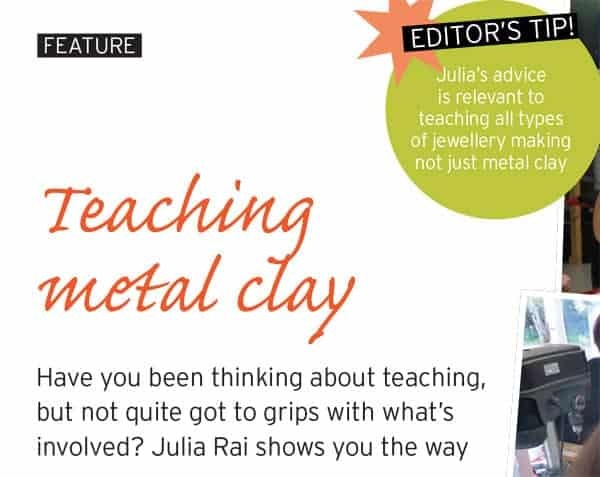 This article I wrote was published in Making Jewellery Magazine in May 2011. I created this brooch using silver metal clay for Making Jewellery Magazine. 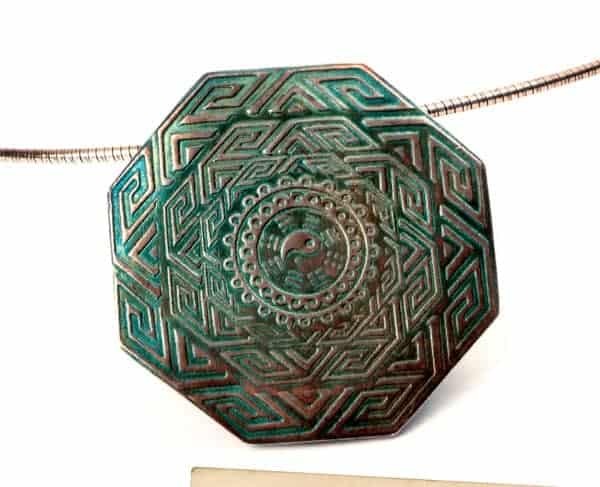 It shows moulding silver clay to form bud elements which are then formed into a brooch. This tutorial was in the March 2011 edition of the magazine. I made this brooch for Palmer Metals’ supplement in Making Jewellery Magazine in March 2011. It uses embeddable findings. 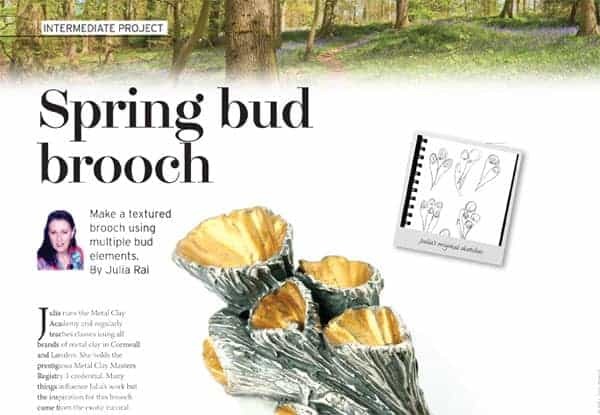 This article about my inspiration appeared in Making Jewellery Magazine in July 2010.